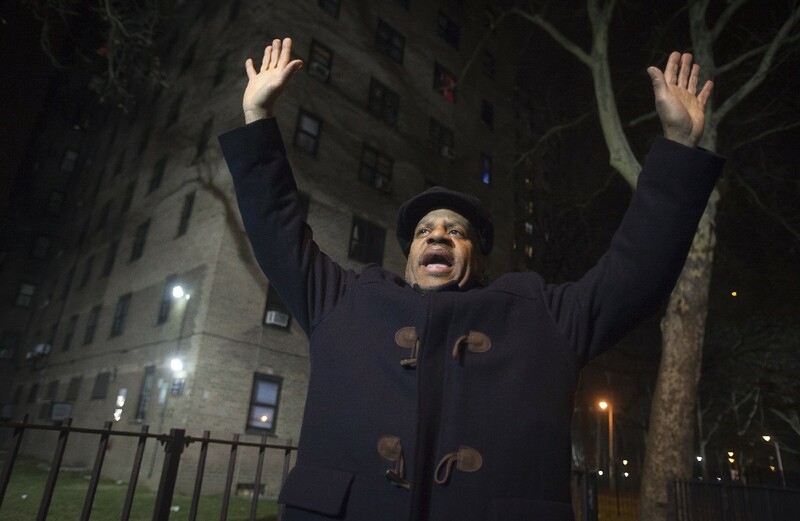 HONOLULU - United States President Barack Obama called Philadelphia Police Commissioner Charles Ramsey on Sunday to express his outrage over the recent killings of two New York City Police officers, White House spokesman Eric Schultz said. 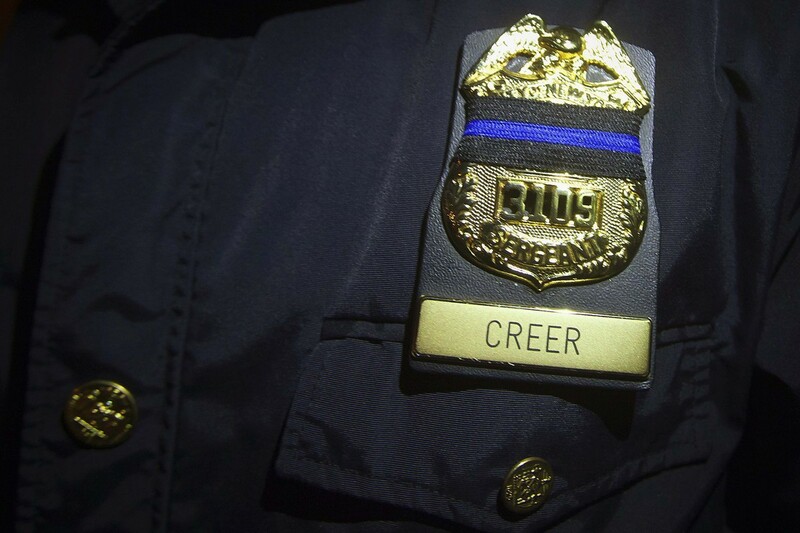 Mr Obama recently named Mr Ramsey co-chair of a task force to examine policing practices across the United States following a Missouri grand jury's decision not to indict a white police officer in Ferguson, Missouri for killing an unarmed black teenager. 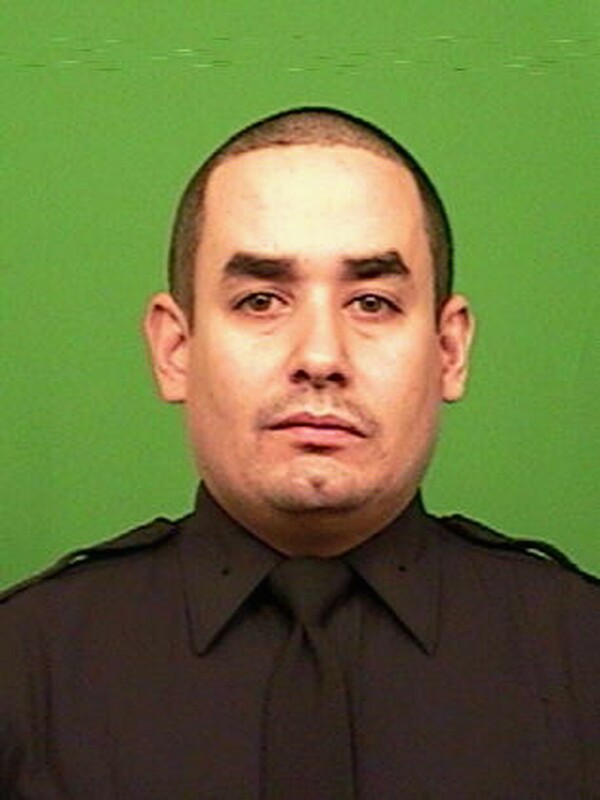 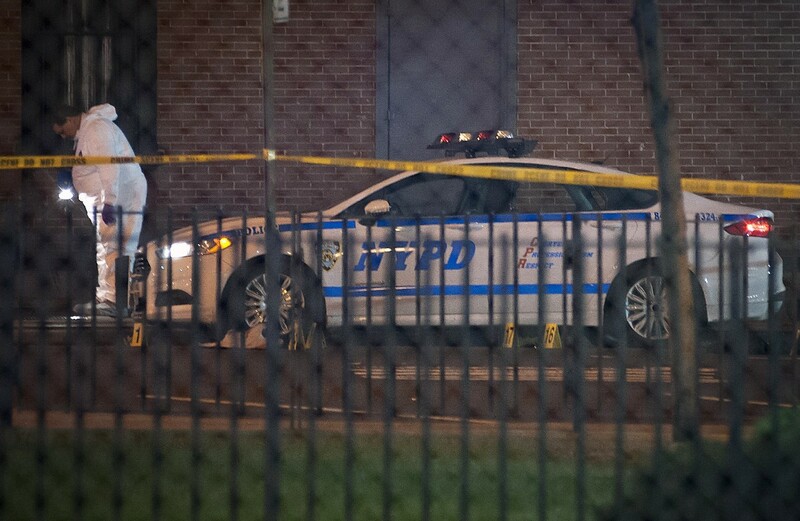 The call came one day after an attack by 28-year-old Ismaaiyl Brinsley, who allegedly walked up to two officers in a parked squad car in Brooklyn and shot them dead. 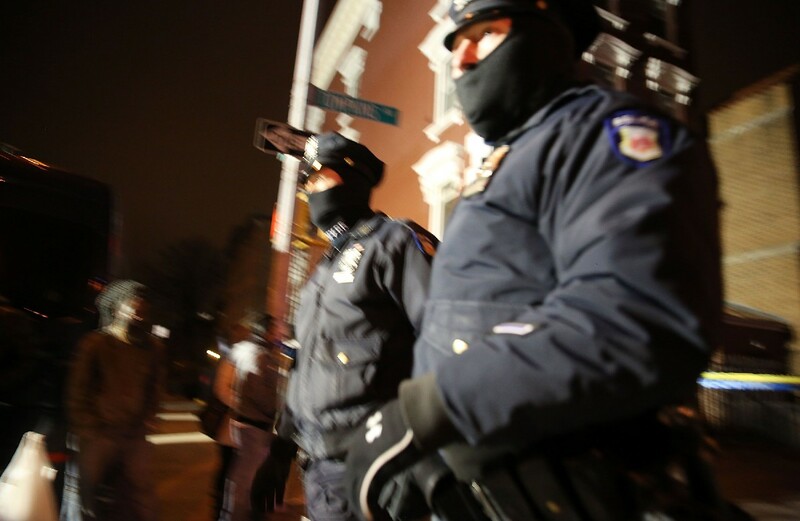 In the call, Mr Obama asked Mr Ramsey to use his task force to further his message that such acts against the police are to be condemned. 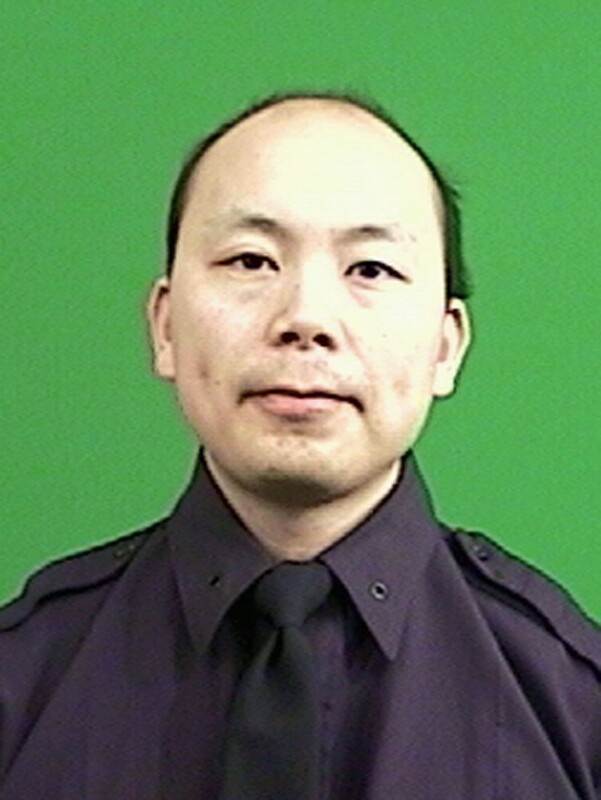 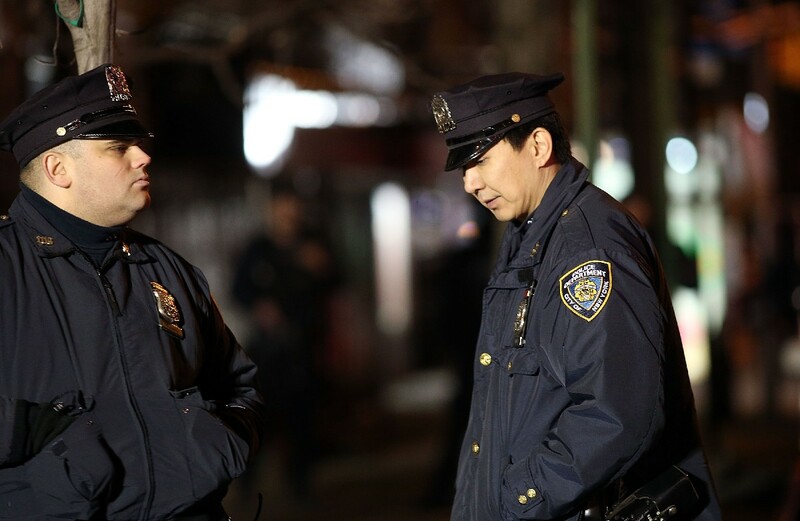 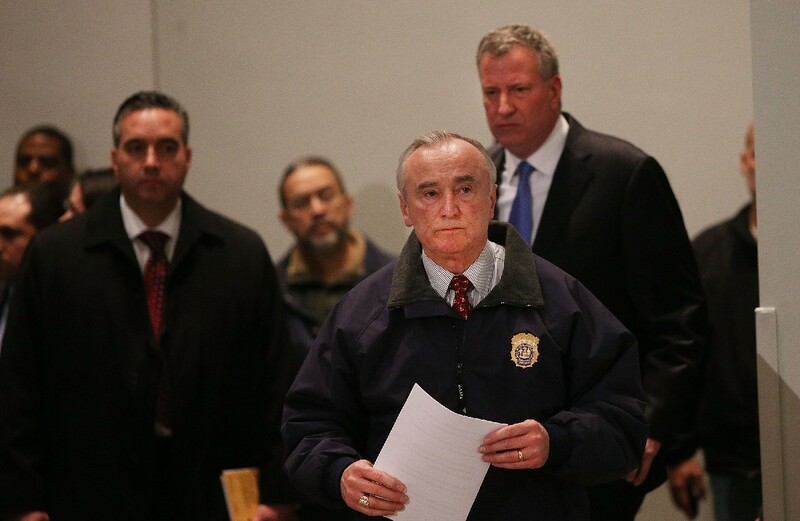 New York Police Officer Wenjian Liu, 32, is seen in an undated picture provided by the New York Police Department December 20, 2014. 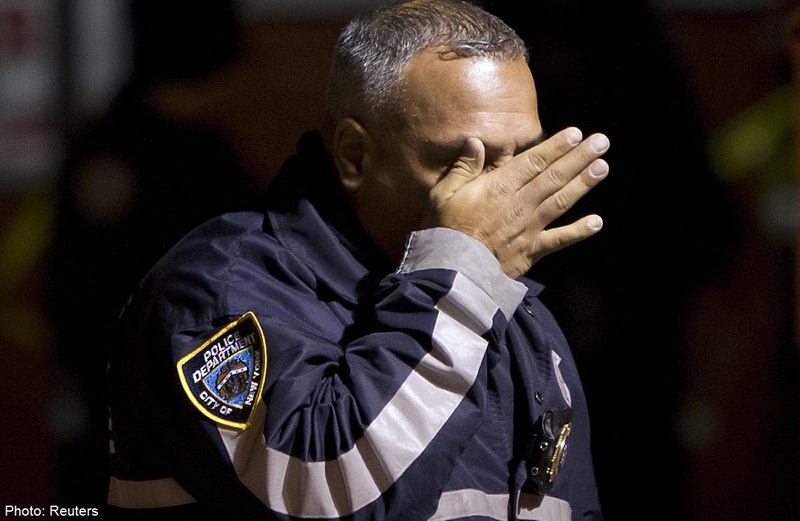 New York Police Officer Rafael Ramos, 40, is seen in an undated picture provided by the New York Police Department December 20, 2014. 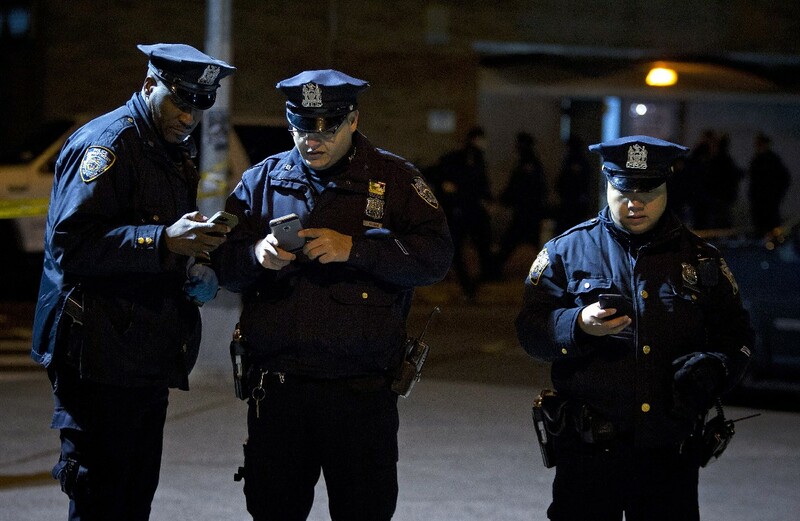 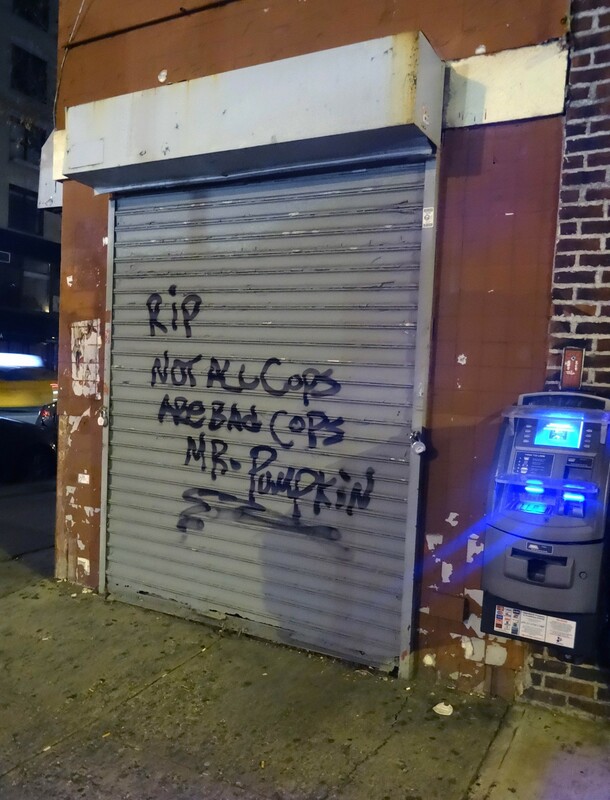 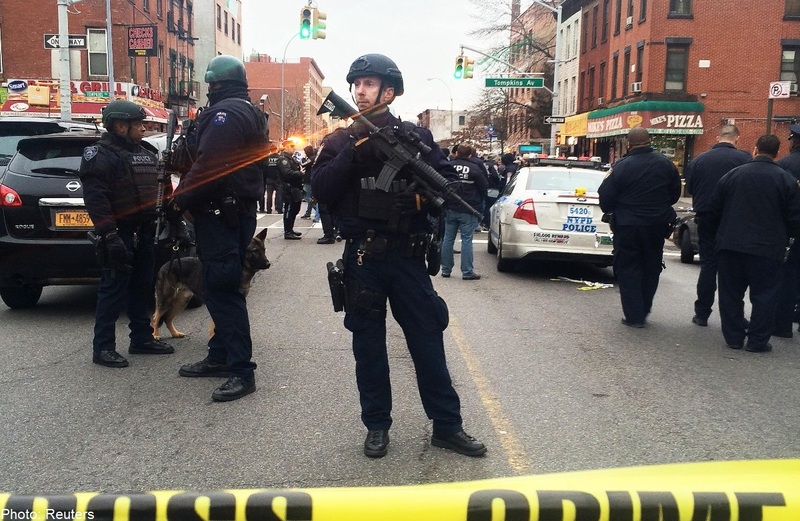 The officers were patrolling in the Bedford-Stuyvesant section of Brooklyn. 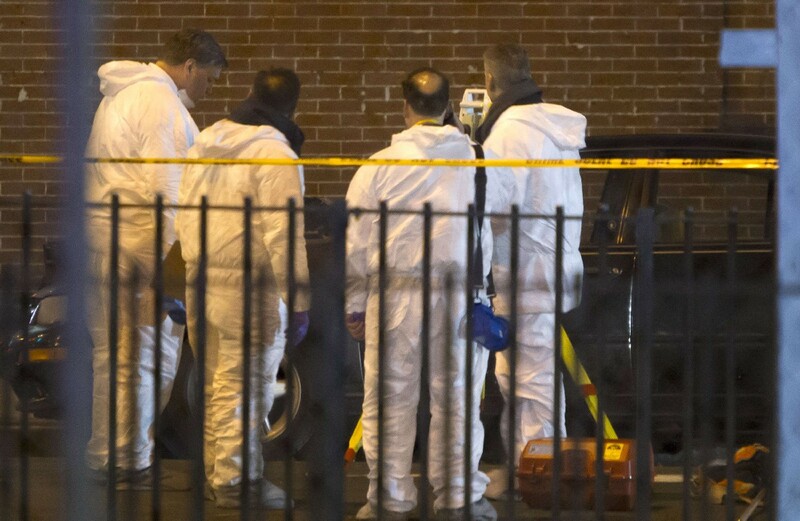 The suspect, who killed his girlfriend in Baltimore earlier in the day, was apparently motivated by the deaths of Eric Garner and Michael Brown. 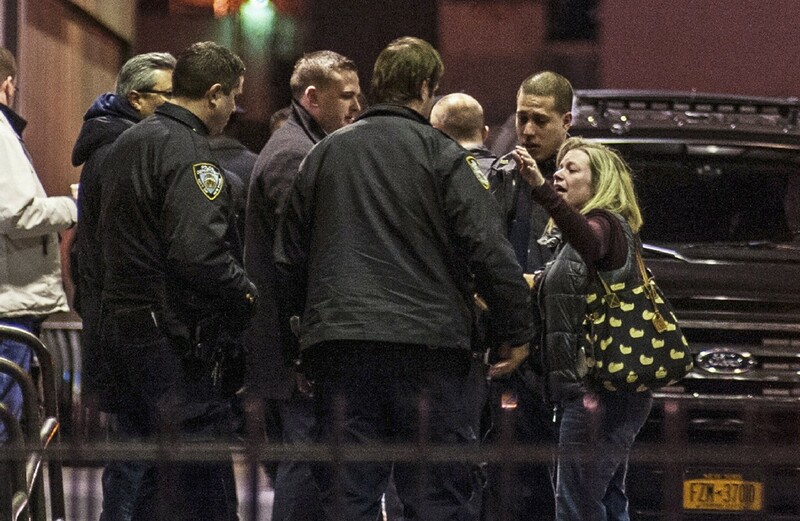 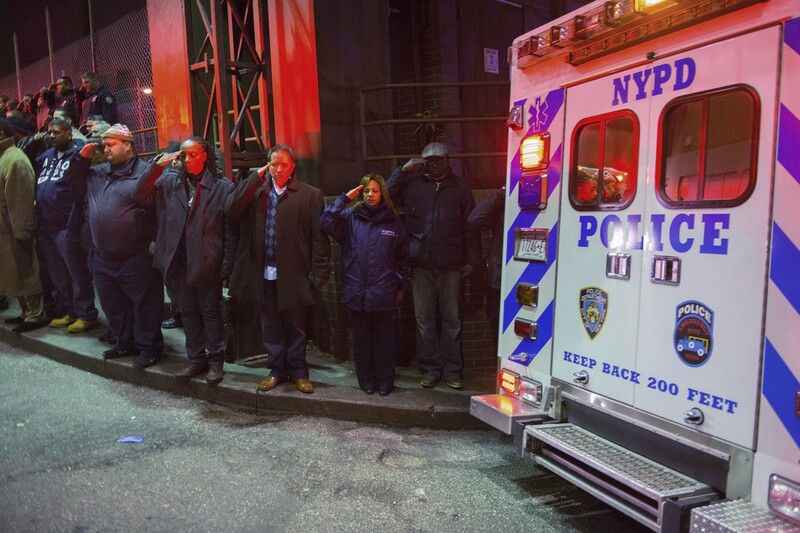 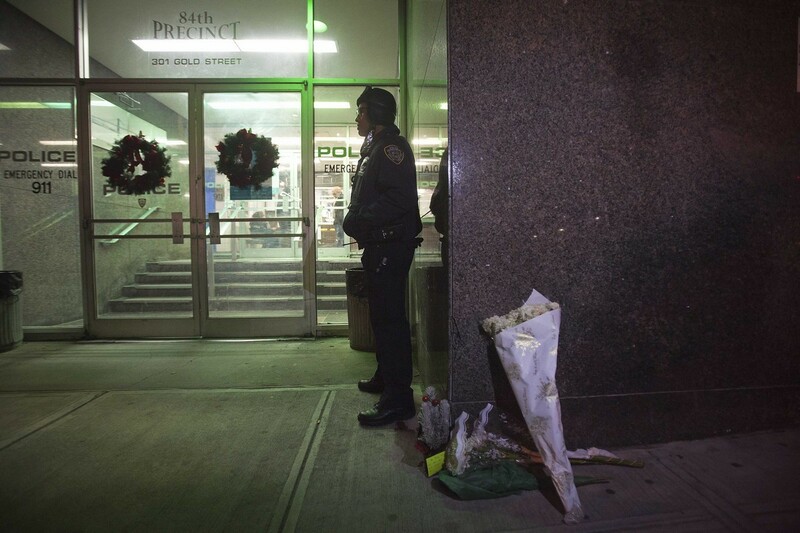 People arrive at Woodhull Hospital after two New York Police officers were shot dead in the Brooklyn borough of New York, December 20, 2014. 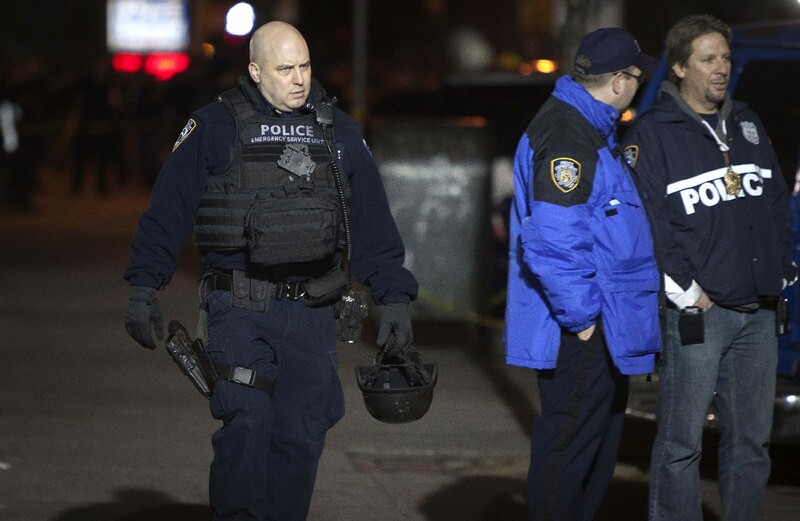 Police are pictured at the scene of a shooting where two New York Police officers were shot dead in the Brooklyn borough of New York, December 20, 2014. 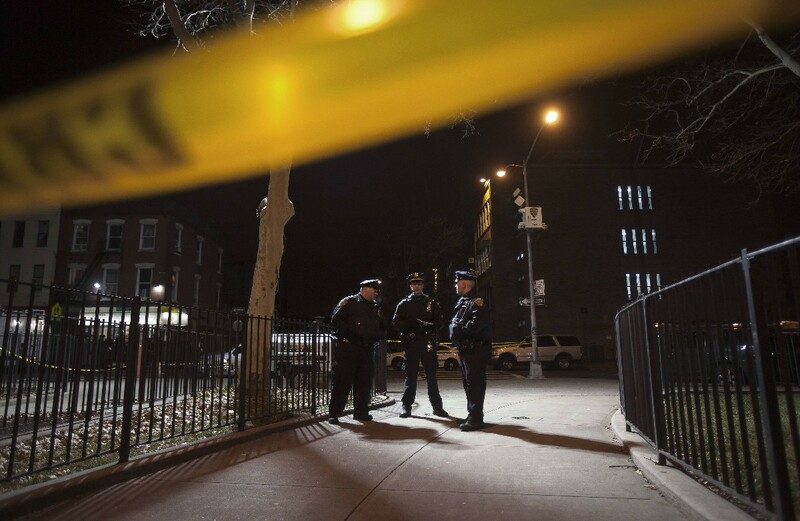 A crime scene investigator examines the scene after two New York Police officers were shot dead in Brooklyn, New York December 20, 2014. 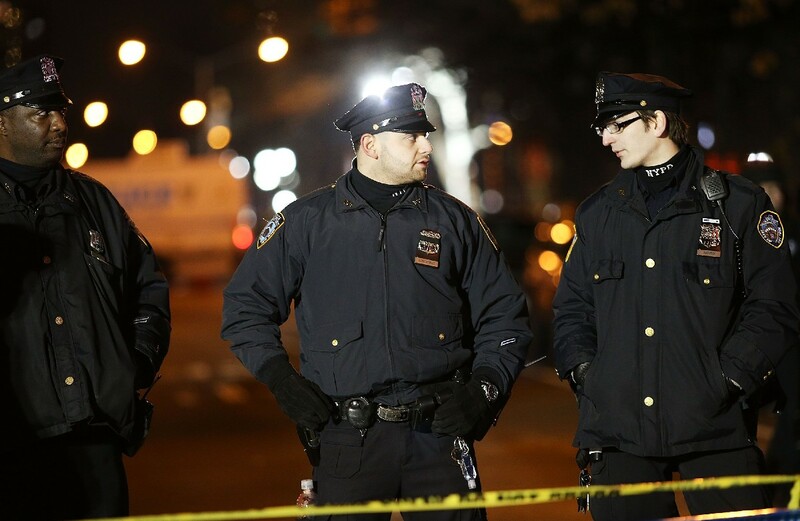 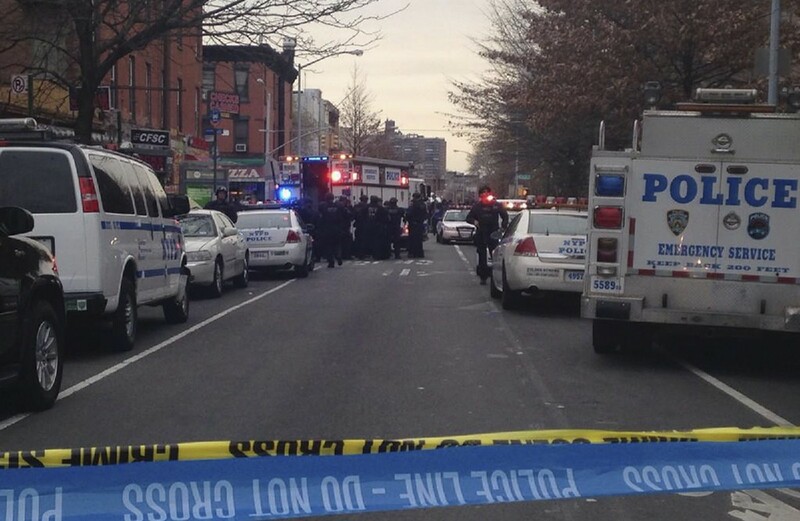 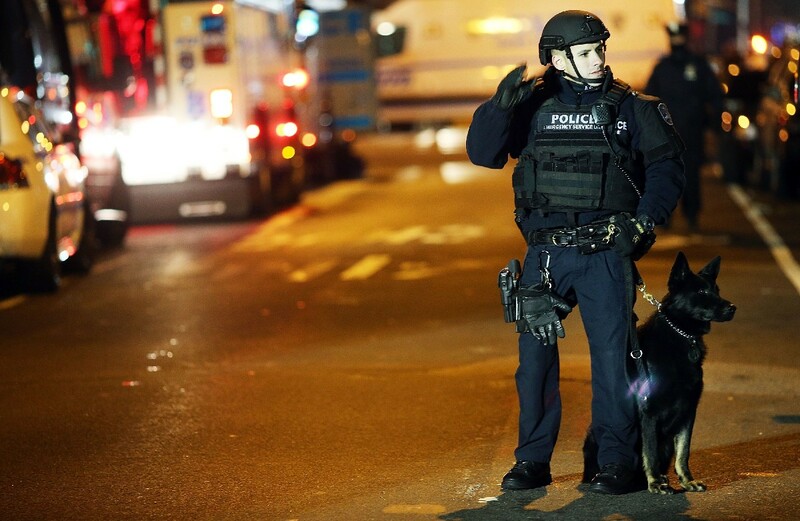 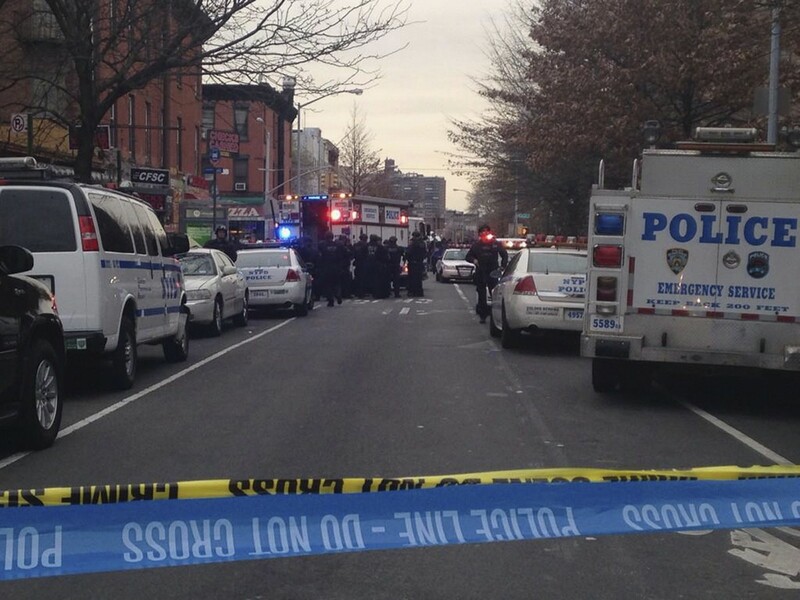 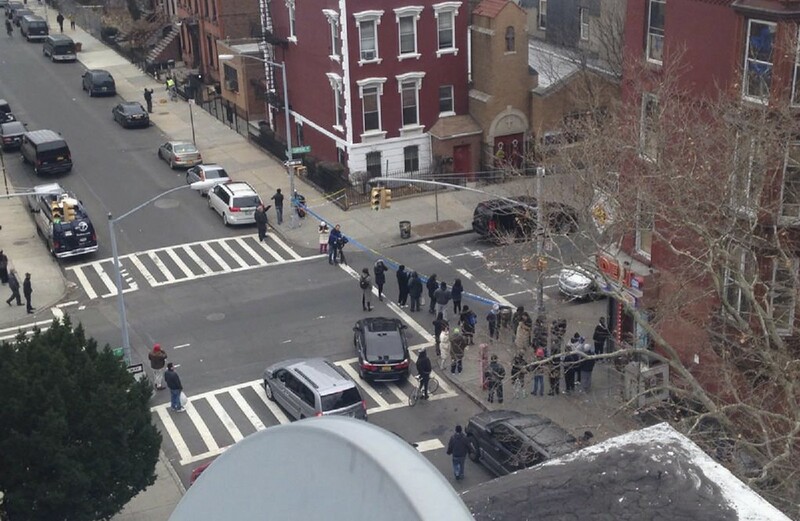 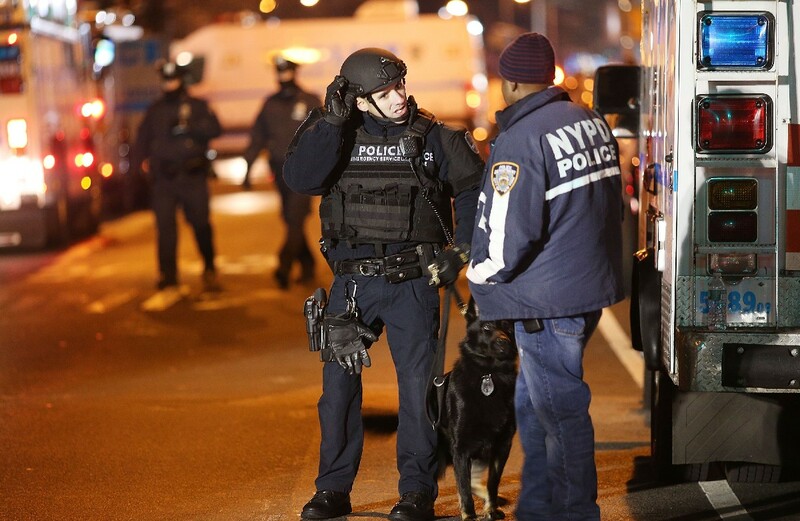 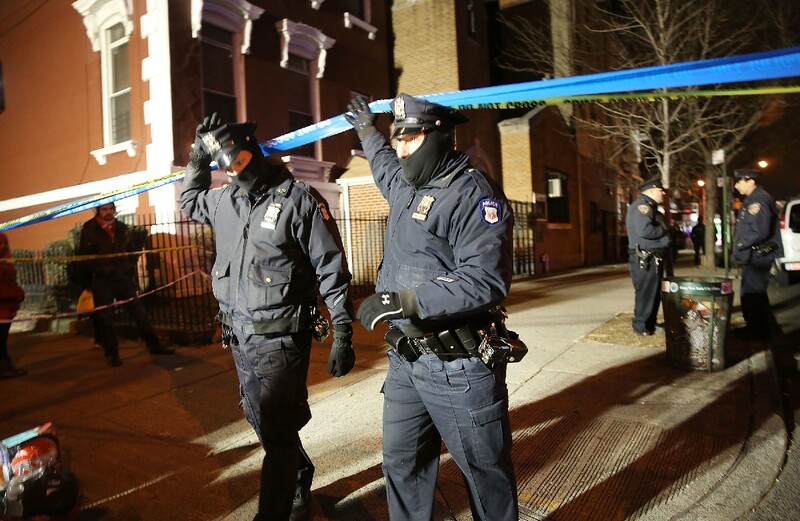 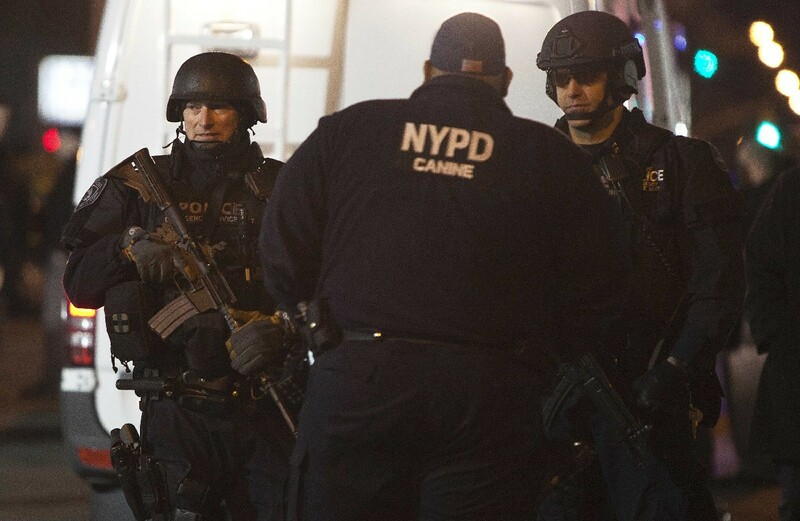 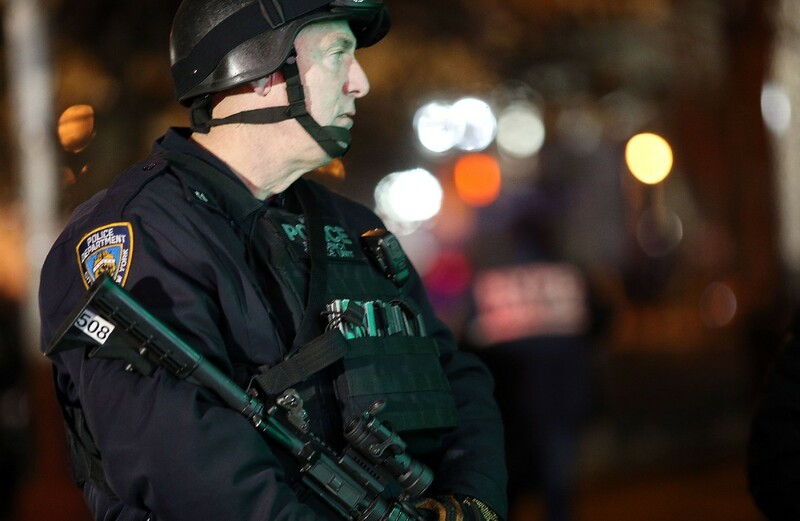 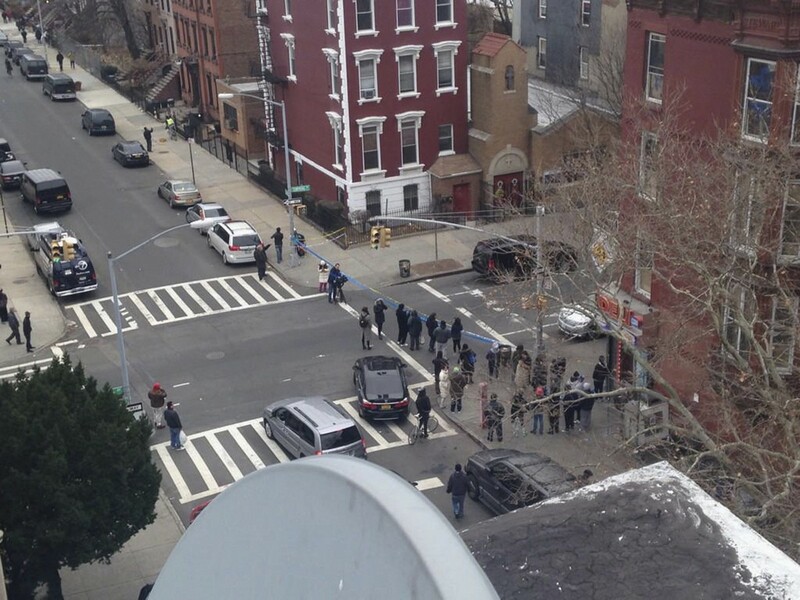 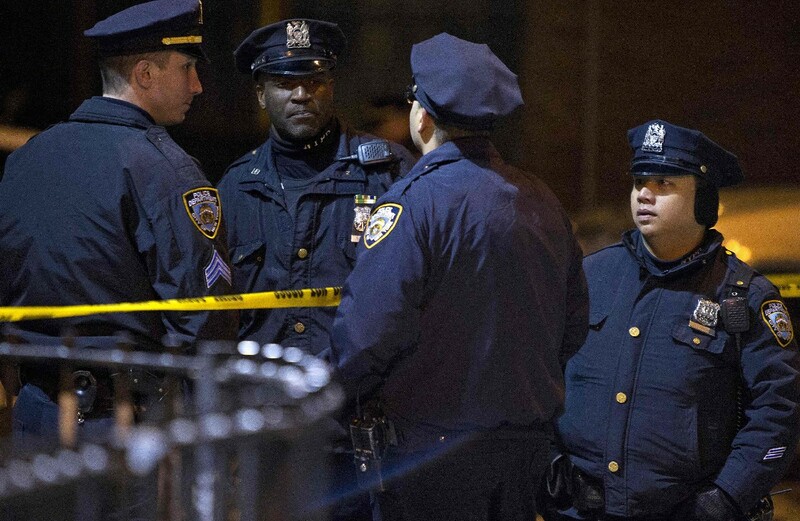 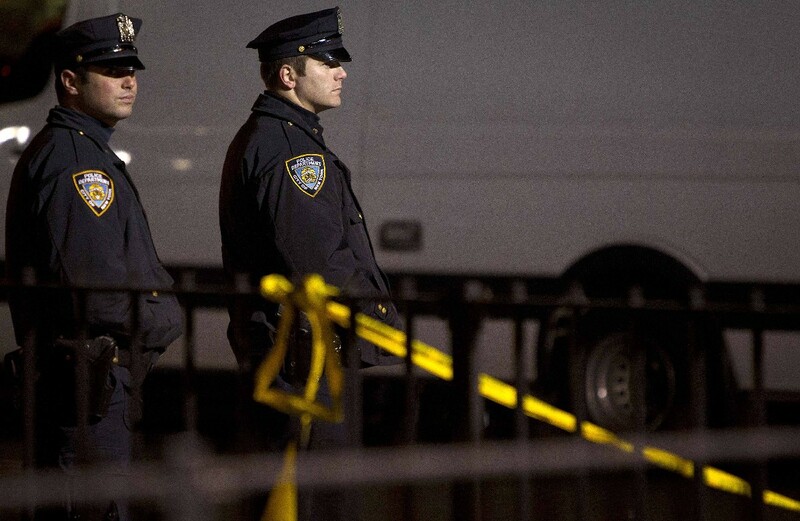 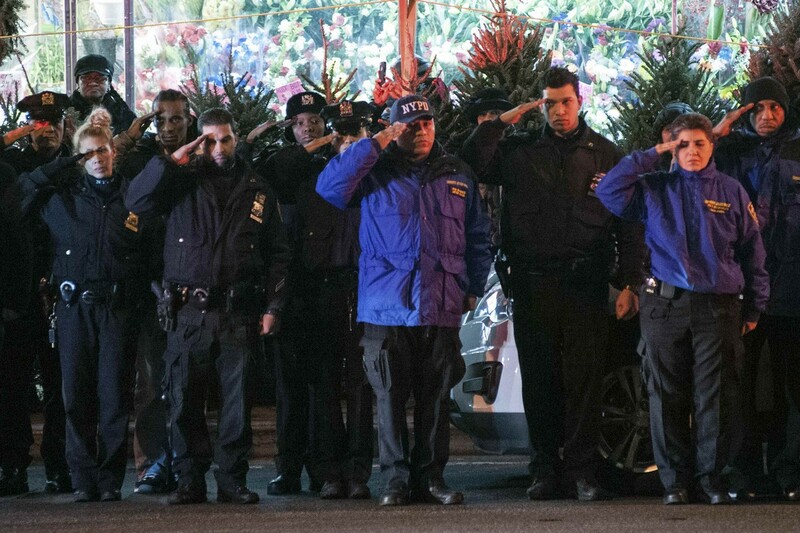 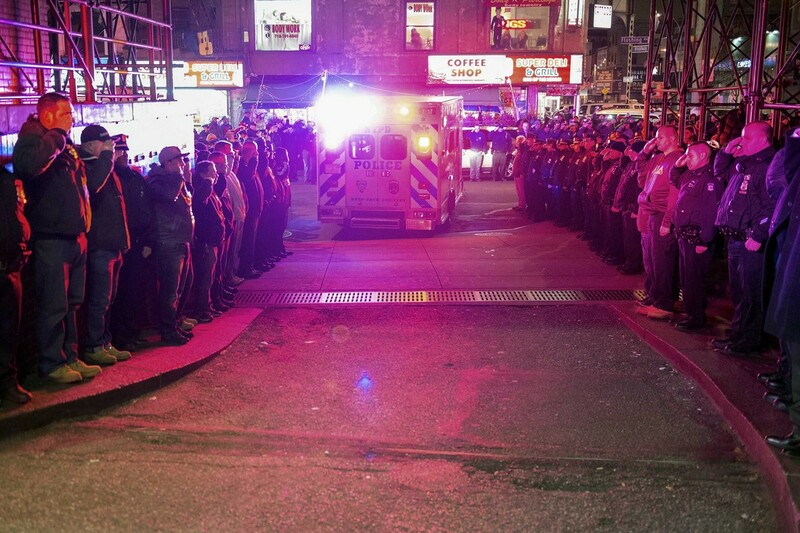 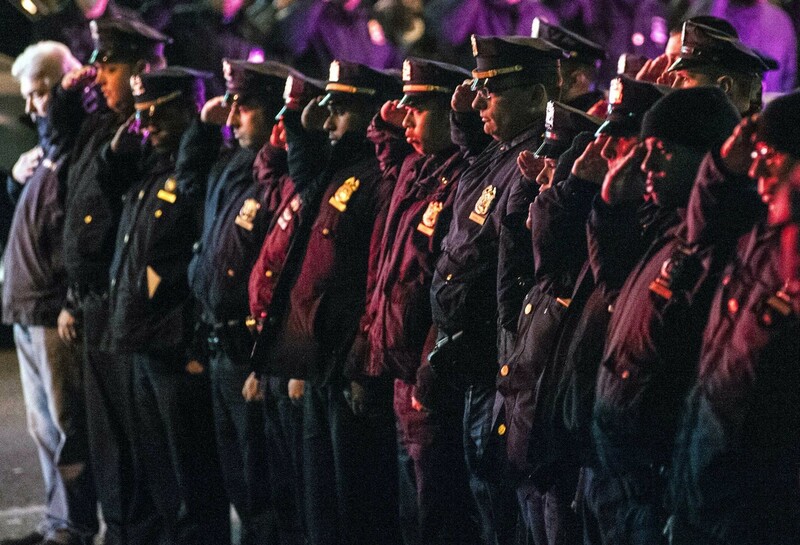 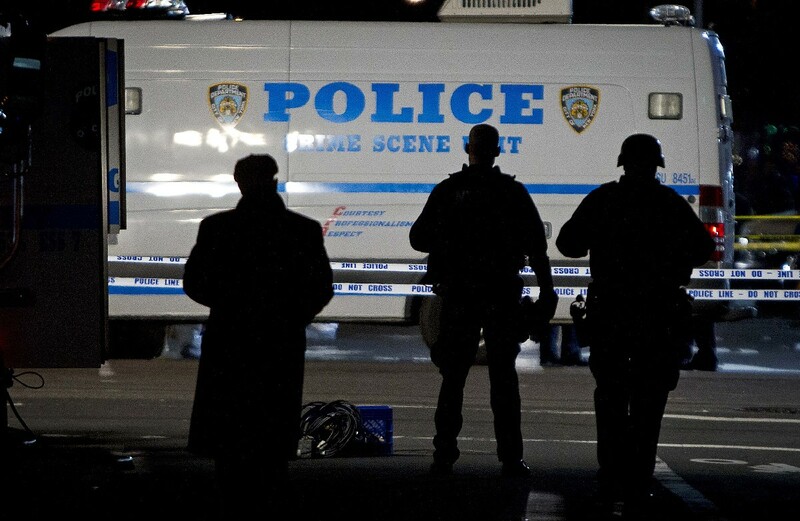 Police standby at the location where two NYPD officers were shot dead in Brooklyn, New York December 20, 2014.